A crossword puzzle with unusual layout! Refreshing crossword experience! Unlike in a typical crossword, words here are stacked on top of each other. Try to guess all words and solve all levels! Some answers are straightforward, some are quite tricky. This crossword game is an excellent workout for your brain cells! 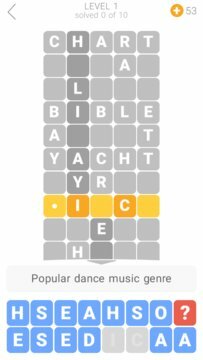 • Hundreds of word stack crosswords. • Play in English, French, or Russian. • Play with your family and friends. 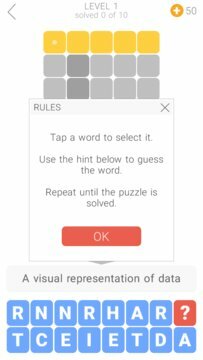 If you like word puzzles, this crossword game is for you!